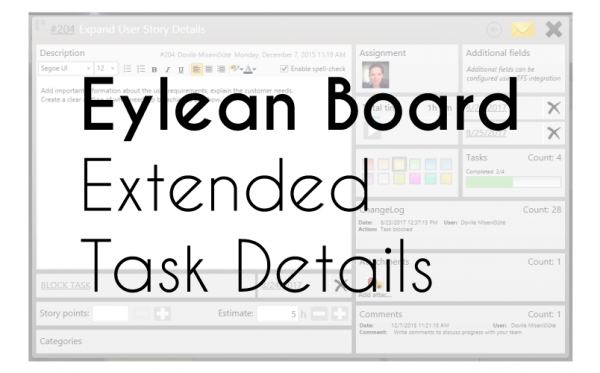 Coming to you this week is another in depth look into Eylean Board features. This time all of my focus comes down to the task details that can be expanded by double clicking on the chosen task. You probably already know about the description, assignments or time tracking. After reading this, however, you will have a much deeper look into what can actually be achieved with this feature. Comprehensive task details is a very important component to any project management tool. And we at Eylean do not take that notion lightly. Within the task details you can find everything you need to know on the small scale of the project. Thus allowing you to work effectively and from one place instead of many. So without further ado, here is the full rundown of what the task details contain. No task can be worked on without knowing what has to be done. Therefore Eylean provides plenty of space for the description. You can add lists, multiple paragraphs and even have the whole thing spell-checked for errors. Have a clear deadline? Add it to the task to make sure you will never lose it. Even more – once it is getting close, we will color the field for your attention. Projects are unpredictable and you may need to stop working on the task at any moment. To make sure everyone know just what you are waiting for, we have added the block task option. That can be filled in with a short explanation visible with the task card on the main board. I know you want to add estimations to your tasks. Eylean gives you not one, but two options to do that. 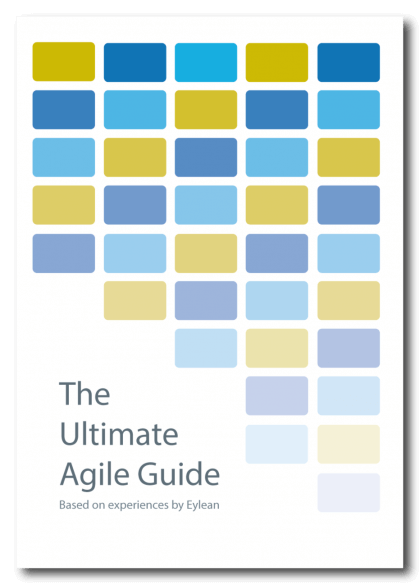 By Story points for the Scrum users and by hours for the others. While you can use both at the same time, only one will be displayed on the main board, so i recommend choosing. There is no easier way of organizing your board, than adding tasks to categories. Design, development, customer retention – create any categories that are fit to your process and clearly identify what your team is focused on right now. You can assign tasks to certain team members in a couple of ways. And while you are filling out the task details is one of them as well. Choose from the team members or change the assignment if needed. If you are keeping time, this feature is for you. You can review the tracked time, edit the entries, add anything you might have missed or delete something that was incorrect. You will also always know just how much time was spent on each specific task and when. If you want to use the schedule, this feature is not to be missed. Add the start and end dates of the task and it will be visualized in the Schedule view. This way planning and estimation becomes easier. Personally, i like arranging my tasks by color. This way easily identifying what type of work i have to do next. If you feel the same, having an option to add specific colors to your tasks will be a joy. Another very important part of managing tasks is managing their sub-tasks. Here you can create as many as you need, edit, delete and mark the finished ones done. Thus dividing the task into clear steps and monitoring the progress. Ever wanted to find out who was the last person to edit the task details and couldn’t find out? The task change log will show everything that has been done so you will never have to play detective again. Add documents, pictures or any other files you need. You won’t have to worry about keeping track of the latest version or getting into an endless e-mail thread with your colleagues. Getting back to those endless e-mail threads and having to dig for something important is something you will not have o worry about with the built-in comment section. Share your opinions and thoughts in one place accessible for all throughout the project. Lastly, one more neat feature you will find within the task details is task as an e-mail. Click that and send the task information to anyone that needs it, without having to manually copy everything. Learned something new? Share with me in the comments!